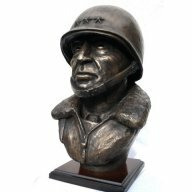 Sculptor Peter Close's personal love of aviation and military history led him to create a series of bronze portrait busts of famous and inspirational militray figures and aviation heroes. 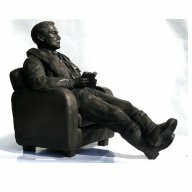 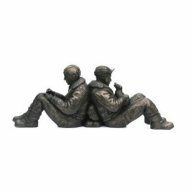 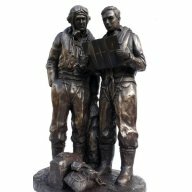 After the success of these busts Peter then created his equally fine series of limited edition bronze aviation art figures depicting airmen and aircrew from World War II. 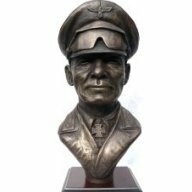 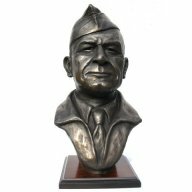 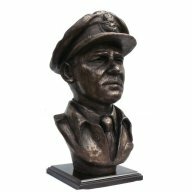 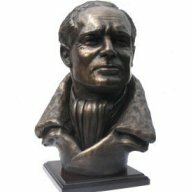 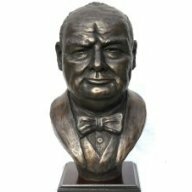 Limited edition bronze busts including Sir Winston Churchill, Sir Douglas Bader and General George Patton all cast in the highest quality cold cast bronze. 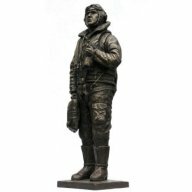 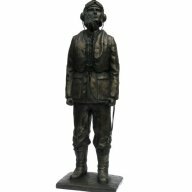 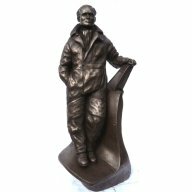 Limited edition bronze figures featuring the airmen and aircrew of the Second World War subjects include Sir Douglas Bader, a Battle of Britain Pilot, A Mosquito Aircrew and a RAF Bomber Command Pilot. 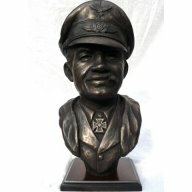 Shipping within mainland UK is free..